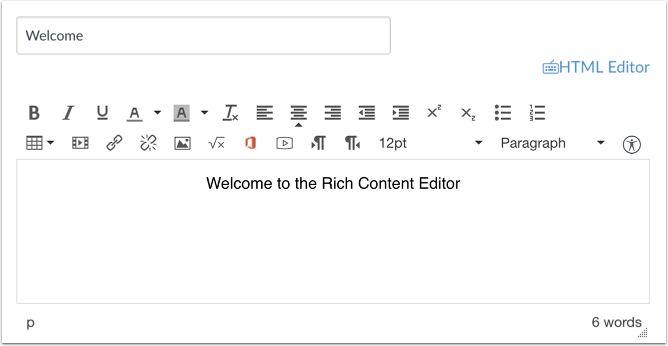 You can use the Rich Content Editor to create a hyperlink. Insert your content into the Rich Content Editor. 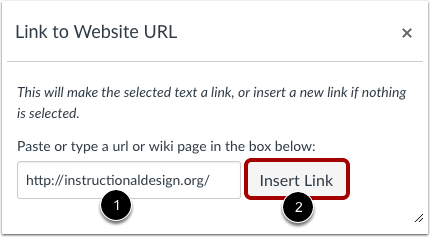 Highlight the text where you want to create a hyperlink. Paste or type the URL you want to link to in the URL field . Click the Insert Link button . Note: The text will flash yellow before turning into the hyperlink. View the link in your content. Previous Topic:How do I embed images from the web in the Rich Content Editor as an instructor? 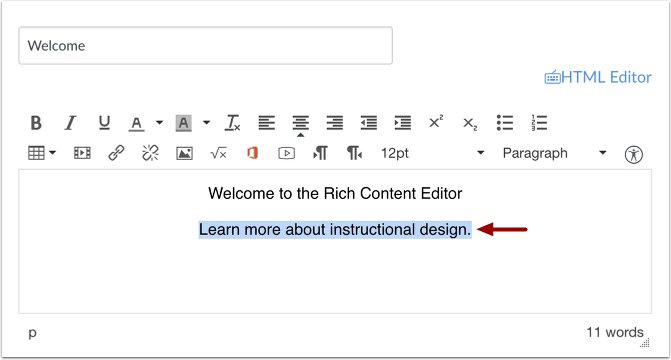 Next Topic:How do I create a hyperlink or embed a file from Google Drive into the Rich Content Editor as an instructor? Table of Contents > Rich Content Editor > How do I create a hyperlink in the Rich Content Editor as an instructor? Re: How to upload into "Files" with files from your Google Drive?